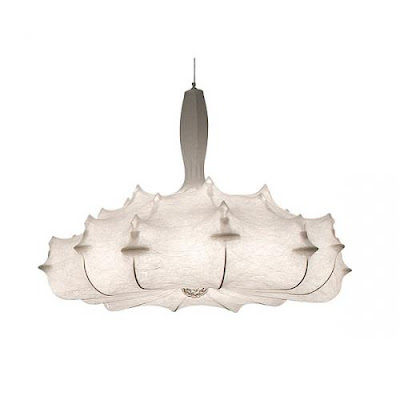 Cocoon Pendant Lamp by designer Marcel Wanders. White powdercoated steel frame. Resin candels.